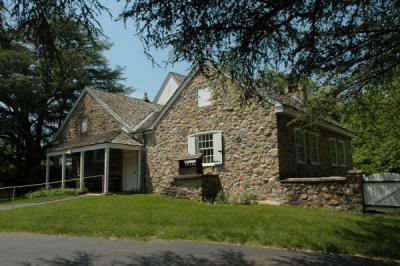 The Hicksites having retained the original meetinghouse of Radnor, the Orthodox members met in their homes until 1834 when they erected a meetinghouse on Buck Lane in Haverfod township. In 1865, this meeting was laid down and its members transferred to the Philadelphia Quarterly Meeting of the Western District as an indulged meeting, known as Haverford Indulged Meeting. Continued as a Hicksite meeting after the Great Separation.The meeting was laid down on January 9, 1939 after Valley Monthly Meeting was established in 1936. Set up in 1810 by Radnor Monthly after functioning as an indulged meeting since 1698.